How do you decide where to go for help with infertility? 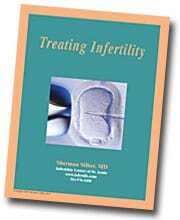 When the U.S. Congressional Advisory Panel (of which I was one of five physician members) met back in 1988, we amassed figures that showed that of 150 IVF clinics in the United States, half of them had never achieved a pregnancy at all. Furthermore, of those that achieved pregnancies, the success rate varied from extremely low (less than 5 percent) to higher, but still not great, success rates. Evaluating the quality of the clinics was an extremely muddled mess. In 1984, it was reported at the World Congress in Helsinki, Finland, that of more than ten thousand women entering IVF cycles, there were only six hundred live births, for a success rate of only 6 percent. In the United States in 1987, out of a total of twelve thousand women undergoing IVF cycles, there were a little more than one thousand live births, for an overall success rate of about 9 percent. Such a low success rate would hardly be encouraging to a couple. It was for this reason that the congressional bureaucrats who reported on the discussions of our advisory panel promulgated the claim that the success rate with this new technology was too low and the cost too high to consider it anything other than a last resort and that more resources should be spent on “conventional” therapy for infertility. The bureaucrats also refused to accept the recommendation of the advisory panel that infertility is a medical condition, which would have given strong weight to forcing insurance companies to pay for infertility treatment. The politicians were actually afraid that the female vote would be “offended” by referring to infertility as a medical condition and mandating insurance coverage. If they had not been so erroneously afraid of losing the female vote, IVF today might be affordable to more couples. Today, your odds are very good that you’ll eventually get pregnant with IVF. But you must choose the right doctor and the right program. The Wyden bill, passed by Congress in the early 1990s, is not of much help. It requires that all IVF clinics report their pregnancy rates to the Centers for Disease Control (CDC). But this information doesn’t help infertile couples decide where to go for help. Some excellent clinics might have a lower pregnancy rate simply because they direct their attention to the most difficult cases with the longest duration of prior infertility, the greatest amount of scarring, the oldest women, the poorest sperm quality, or the lowest ovarian reserve. If the clinic had the kind of expertise that suited these difficult cases, it could easily have a lower pregnancy rate than a clinic that takes on more simple, routine cases. In fact, since the Wyden bill became enforced by the Society for Assisted Reproductive Technology (SART) and by the CDC (the U.S. government’s main epidemiology arm), many clinics have simply “canceled” cases with low numbers of eggs because they don’t want inclusion of such cases to lower their pregnancy rate. Pregnancy rates can easily be manipulated upward by selecting only those patients who have a large number of eggs, or by not recommending continued IVF to those who do not get pregnant in the first or second cycle. By law, these statistics are not supposed to be used for comparison shopping or marketing because they can be so misleading. But they always are. We have seen many patients in St. Louis who were refused IVF treatment in their own communities because they appeared to have a dismal prognosis. Yet they were able to get pregnant with us and have children. I remember a 42 year-old woman from Canada who had gone through multiple IVF cycles when she was younger and failed to get pregnant. No IVF program in the United States would accept her because they were concerned about what that would do to their statistics. We warned her that her chance of pregnancy was extremely low, approximately 9 percent, because of her age and her very low ovarian reserve. Her first IVF cycle with us yielded only three eggs, and she failed to get pregnant. However, she insisted on coming back for a second cycle several months later, at which time we retrieved four eggs. This time she became pregnant and delivered a healthy little baby that has grown up to be a very fine young man. Similarly, we took care of a basketball executive and his wife who were both 42 years old and had gone through many failed IVF cycles elsewhere in good programs. When we put her through IVF, we obtained relatively poor-quality embryos with a great deal of fragmentation, and we felt quite sure she would not get pregnant. Nonetheless, she did get pregnant with healthy twins. The only reason for citing these examples is to emphasize that even couples who are in a poor prognostic category can get pregnant but often they don’t get the chance to undergo IVF because accepting such patients would lower the IVF program’s statistics and impede their marketing efforts. Some clinics have become so commercialized that they publish misleading advertisements in local newspapers and magazines, and even in the New York Times and the Wall Street Journal. These advertisements promise high pregnancy rates based on carefully selecting only the youngest, most fertile cases and offer money-back guarantees after overcharging for every cycle to cover the cost of rebates. Indeed, many unnecessary and expensive tests, which can cost as much as ten thousand dollars or more, are sometimes insisted upon before the first IVF cycle is even performed, thus guaranteeing hefty revenue exclusive of any potential rebate. This commercialized Kentucky-fried IVF franchising has become a cause of great distress and confusion for patients trying to figure out what to do. This is just a money making insurance plan, but most couples in a high prognostic category who would qualify do not care for it because it is likely to cost them more than if they just pay separately for each cycle. Because many clinics make false claims of exaggerated pregnancy rates by selecting younger patients (with a short duration of infertility and large ovarian reserve), published rates are simply an unreliable measure. Therefore, the patients’ only resource in deciding where to go for treatment is to understand fully how their reproductive system works, and to learn in a detailed way how IVF and ICSI work. You will need in-depth understanding in order to go through the many steps that are part of every IVF cycle. Furthermore, only with this detailed understanding will you be able to decide where to go for help. You need to learn how to pick the right place by interviewing the doctors and the nurses who are directly involved so you can evaluate their results in a sophisticated manner. In summary, you can now monitor your own biological clock from your early twenties on so that you can decide when you ought to try to have a baby naturally and avoid the need for infertility treatment altogether. You may decide you need to freeze your eggs, or a piece of your ovary, just to stop your biological clock. Or, if infertility treatment does become necessary for you, we will explain what you should expect every step of the way. Understanding how this technology works will give you the best chances for a successful pregnancy.